Press Releases | Gulf Craft Inc.
Be the first to know the latest updates about Gulf Craft. From exlusive previews, boat shows participated, boating & marine news to the latest luxury yachts, cruising and fishing boat launches. Stay up-to-date now to get a fresh perspective on the marine industry in general! Kuwait, March 26, 2019 – Gulf Craft, the Emirates pioneer builder of luxury yachts and leisure boats, and Al Boom Marine, its dealer in Kuwait, explore a world of opportunities at the 7th international edition of the Kuwait Yacht Show 2019. Dubai, February 26, 2019 – Gulf Craft, the Emirates pioneer builder of luxury yachts and leisure boats arrives at the 27th edition of the Dubai International Boat Show with a fleet of 12 vessels. 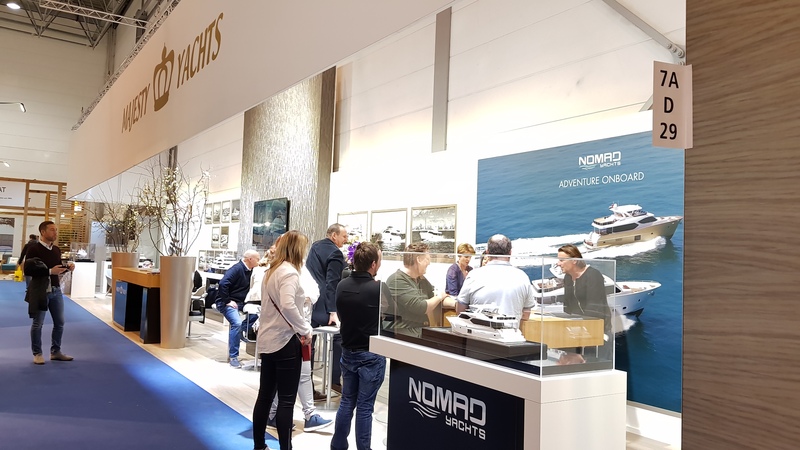 Dusseldorf, Germany– Gulf Craft with its dealer Drettmann International arrive at boot Düsseldorf 2019 for another year of success. Gulf Craft has already started the year by winning the coveted 'Best Asia-Built Motor Yacht' award for its Majesty 62. The elegant "owner-manageable" Majesty 62 family yacht won the top honour at the prestigious Christofle Yacht Style Awards held in Phuket, Thailand. Abu Dhabi – After a successful month in its Cannes and Monaco Yacht shows, Emirates based Gulf Craft is set to exhibit at the first ever Abu Dhabi International Boat Show 2018 with an impressive line-up of superyachts, yachts and boats. The award-winning Majesty 135 and Majesty 100 superyachts along with Nomad 55, Silvercraft 36 CC, Slivercraft 36 HT and the Silvercraft 31 leisure boats are all part of the exciting line up. Dubai, October 2, 2018 - Gulf Craft confirms its intention to participate in next year's Cannes and Monaco Yacht Shows with a larger fleet of its latest yachts. This decision was made after the company’s successful participation in this year's Monaco Yacht Show with its exclusive dealer in France and Monaco - Aurora Yachts. Dubai, September 18, 2018 – Gulf Craft's superyacht the Majesty 140 wins the prestigious award for 'Best Yacht Layout' at the 17th edition of the coveted World Yacht Trophies. Cannes, September 11, 2018 – Gulf Craft along with Aurora Yachts, its exclusive Majesty Yachts dealer for France are presenting two of the finest superyachts that capture the enterprising spirit of the UAE's leading shipyard with over three and a half decades of growing presence. Dubai, August 30, 2018 – In line with its vision to evolve as a pioneering shipyard, Gulf Craft ups its game with the evolution of the timeless Majesty 125 superyacht M/Y AltaVita, as it delivers the next level of perfection. A real standout in its class, the latest Majesty 125 is the sixth in the series to be built and the third to be delivered in Europe.